Sensitive to subtle energies from a young age, Jody has been involved in energy work and alternative healing for over 25 years. Her explorations have included meditation, yoga, Taiqi and Qigong, flower essences, aromatherapy, Opening Human Potential, and Quantum-Touch. She is a graduate of the first Qigong teacher-training class at the Oregon College of Oriental Medicine and taught Qigong workshops with her husband, Alain, for several years before deciding to study acupuncture. 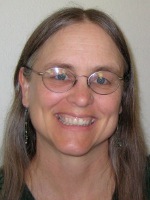 She has a Master’s degree in Oriental Medicine from Southwest Acupuncture College and is a Licensed Acupuncturist practicing in Ashland, Oregon. Alain’s focus and passion has been his involvement with the healing arts for over 30 years. As a yoga practitioner and instructor he began the path to self-discovery through deep meditation and contemplation. His path led him through numerous eclectic studies culminating in becoming a Qigong healer and teacher in 1995. 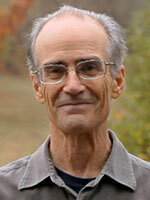 He was head Qigong Instructor for Southwest Acupuncture College in Santa Fe, NM for three years. In 2001 he began teaching advanced classes in healing with Quantum-Touch as well as authoring two books, Quantum-Touch Core Transformation: A New Way to Heal and Alter Reality (co-authored with his wife Jody) and Supercharging Quantum Touch: Advanced Techniques. Since then, in his pursuit of further personal growth he began delving more deeply into the emotional states. Out of this, working with his wife Jody, evolved The Wonder Method. This work has become a method for personal growth as well as a healing modality. If you are interested in a private session please click here.